 This is a variation of Stone Generator useful for decoration pieces and board games. 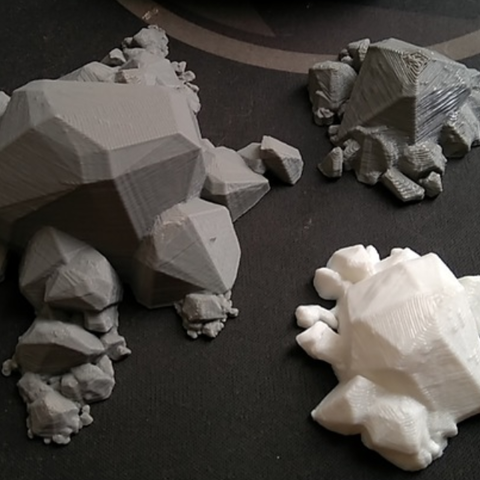 The customizer can generate a small group of stones simulating some sort of rock formation. Easy customization: You can modify the size of big central rock and the number of medium and small stones. Every customization generates 5 files with sightly random variations . I think it's useful for board games, dioramas or decoration. Easy print, just use a good resolution and a bit infill as inner support for roofs.